A marathon Dare County Board of Commissioners meeting that started out weighing the pros and cons of using occupancy taxes for dredging quickly devolved Monday into a fishing versus business debate pitting the value of Oregon Inlet against beach nourishment. Representatives of both camps came out in force to give their opinions on draft state legislation that would allow the board to divert occupancy tax revenue, including funds earmarked for beach nourishment, to pay for dredging the inlet. About half of the 32 speakers favored using occupancy tax funds for dredging, saying the county’s boating and fishing interests were taking a huge economic hit because of severe shoaling at the inlet. The other half objected to reallocating any funds without a plan to replace the lost revenue. Tobin, who supported the bill, said that users of Oregon Inlet also bring tourism revenue to the county from fishing tournaments and charter boat trips. Two percent of the 6 percent occupancy tax is for beach nourishment. One percent funds the Dare County Tourism Board with the rest going to the towns and county for tourism-related spending. The bill is sponsored by state Sens. Bill Cook, R-Beaufort; Harry Brown, R-Onslow; and Michael Lee, R-New Hanover. Section 3.3 of draft bill 2015-42 would allow Dare commissioners to use “some or all of the proceeds from the occupancy taxes” toward the non-state share of dredging. The draft legislation comes at the same time the county is planning beach nourishment projects in Rodanthe and Buxton. 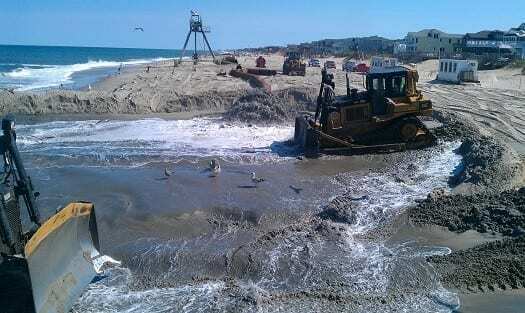 Kitty Hawk, Kill Devil Hills and Duck also are well on their way to widening their beaches. Much of the funding for all of the efforts would come from the Dare County Shoreline Management fund, which is made up of the two percent share of the occupancy tax for beach nourishment. Meanwhile, shoaling in the channel through Oregon Inlet is having a dire effect on the $100 million boat-building industry, forcing vessels to go 120 miles south for sea trials, said Paul Spencer, owner of Spencer Yachts. Opponents of the legislation agreed that Oregon Inlet is vital to the county and must be dredged, but they were concerned about tapping into a critically important revenue stream. Walters, along with other opponents of the draft bill, asked the board to urge Cook to withdraw the legislation. The U.S. Army Corps of Engineers is responsible for keeping the inlet’s federal channel clear. 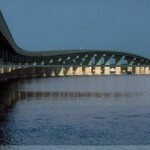 But with declining federal funds, the state has been kicking in money to protect the Bonner Bridge from boats trying to navigate around the shoaling. Millions are needed to maintain the channel. A $7 million effort to clear the channel to a depth of 14 feet and up to 600 feet wide in 2013 was undone by shoaling within weeks. Jordan Hennessy, who works in Cook’s office, said during a break that the draft bill was e-mailed last week to the board for review, but it has not yet been submitted to the legislature. Kitty Hawk Mayor Gary Perry warned the board of the risk in toying with the occupancy tax spending pots, with all the parties depending on the millions of dollars for a significant part of their budgets. Lorrie Love with the Outer Banks Visitors Bureau said that the proposal to tap into the occupancy tax lacked transparency, and the bill was written incorrectly. Love suggested that levying a ¼-cent sales tax could pay for dredging. Board Chairman Bob Woodard said he agreed that commissioners have not had enough time to consider the draft legislation, but he also was concerned that too much time has gone by with nothing being done to remedy the problem at the inlet. “We have been talking about this for 40 years,” he said. “We need action and we need unanimity within this board to tackle this and make this happen. We need to step up to the plate. But when each of the board members weighed in on the issue, it was clear the panel was as divided as the audience. Commissioners Allen Burrus and Jack Shea were opposed to the legislation. Commissioner Wally Overman did not object to the bill’s language but said he believed the county had to come up with a recurring funding stream. Commissioners Margarette Umphlett and Beverly Boswell strongly supported using the occupancy tax for the inlet. Warren Judge said that if the county intends to spend only its share of the occupancy tax kitty on dredging – about $3.5 million — then there was no need for the legislation to give them authority to spend the tax. But he said there was also the matter of the county paying its bills in the upcoming budget. “The money is going to have to come out of the fund balance, or we reduce expenses,” he said. Confusion ensued among members as to what the consequences would be if the bill was pulled and what the ramifications would be to the tax rate. After much back and forth, the board agreed to write a letter to Cook asking him to pull the occupancy tax provision in the bill. The motion carried 6-1, with Beverly Boswell voting against it. 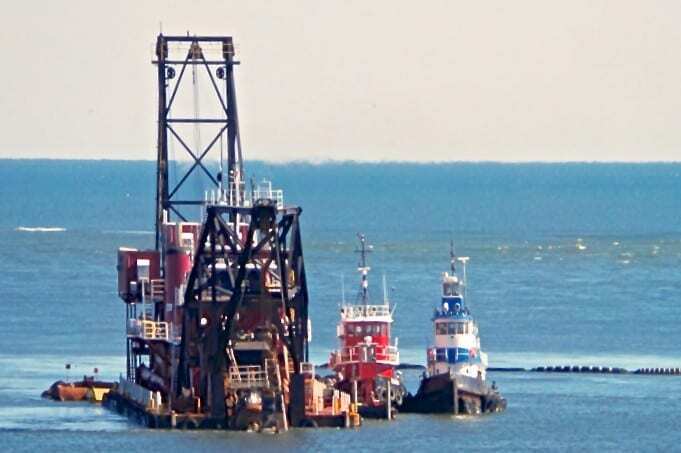 A motion was also approved to place a line item in the budget to use the dollar amount equivalent to 32 percent of 3 percent of the occupancy tax – the county’s share – to fund dredging and maintenance of Oregon Inlet and Hatteras Inlet. The vote on the second motion was unanimous. There were no details provided on the potential impact on the county budget of including a $3.5 million line item for dredging.